For a company to grow, it first must understand the components that actually drive the growth of its value. The quest for growth is at the front of mind for all businesses, yet many businesses gauge their growth on metrics that are not aligned with company value maximization. Founders should select one KPI that is rooted within the problem that they are are solving and that is represented in the action clients take to receive the solution being offered. Early-stage companies often focus on revenue as the main KPI, which tends to represent value capture over value creation. Focusing on KPIs, such as active users, is more useful, because it is centered around the validation of the business model. Once a KPI target has been set, dive into the characteristics of the users to understand the perfect client profile. Cohort analysis is critical for unearthing user trends over time periods. Because startups change quickly and deploy different growth experiments, each cohort (batch) of new customers tends to behave in different ways. Growth occurs from three actions: paid PR/marketing, organic inbound, and referral traffic. Each have different trajectories of behavioral responses from users. Use statistical analysis to dive further into cohort data, such as Chow test and viral coefficient methods. Linear regression analysis will allow for the significance of each variable to be tested. To sustain growth, measure the actions that correspond to user retention and focus on them going forward. With the best clients identified, we now need to isolate the tipping point action, which hooked them on the product and increased their engagement. This could be, for example, the moment a customer makes their third purchase on a marketplace platform. At which they now trust the service and are comfortable with it. In order to guide users towards this moment, growth efforts must focus on the UX of the customer journey and using both data and design to ensure that it is seamless. Now, with more understanding of past data and the actions that correspond with success, you and your company will have more insight to drive sustainable growth going forward. How Do We Unbundle the Components of Growth? My partners and I co-founded Firstrock Capital to help startups grow, working with them to meet whatever challenge they might face in any particular week. Over the years, the most important means to that end revealed itself to be that of helping them break down and scientifically manipulate the underlying drivers of startup growth itself. So many of our companies were achieving great things in terms of raising capital, building stunning technologies, and attracting clients and media attention, but when the conversations turned to, “What truly defines our growth, and are we growing the right way with the right users day-over-day, week-over-week?” matters too often became more uncertain. This article outlines the tools and techniques that we have found the most useful and is intended to be a map for various aspects that can be further unpacked, debated, and refined. While working with our portfolio companies, my partners and I found that once growth data had been parsed into its key drivers such as retention, core action, and defining characteristics of best users and cohorts, it was almost invariably a revelation for all parties. If all users are roughly proportionate in their use and/or if value comes from how many distinct users are on the platform, then total active users may be best (e.g., social networks). If clients are disproportionate in their use of the product and contributions to the company’s value, then total actions taken may be the more correct KPI (e.g., marketplaces, where factors such as repeat usage and higher revenue for larger ticket items, makes some users more valuable than others). Any given situation lies along a spectrum; for example, a professional networking app may initially track how many prospective professionals and employers are actively using it. They would likewise then need to define what they mean by “active,” either based on the hypothesis of how often a user should perform the relevant action or by a frequency analysis of how often the users are doing so on average. If the business model is based on advertising or analytics on aggregate user behavior, then this KPI may be correct. However, if the business model is to receive a percent-based commission of the value of the contracts that result from it, then the relevant KPI measurement would be the dollar volume of contracts executed via the platform. The key is to be clear on how the underlying value is created and your business model for receiving a portion of it. Selecting this metric enables success to be defined amidst the organized chaos of an early-stage company and aligns all team members towards its vision and strategy. Several of my portfolio CEOs have found that it helps to post the current months’ KPI goal and progress to date on dashboards ranging from simple whiteboards to in-house platforms and then respond to any idea by asking how it would contribute to hitting that goal—this instills not only focus but also the anchoring for greater creativity. Actions taken (e.g., photos shared for Instagram). Transaction volume executed via the platform. If your business model is commission-based, then this may correlate well to revenue, but the two may decouple as you scale and discover additional revenue streams such as advertising and premium subscriptions. Value of capital managed by or deployed by the platform. Can be increased both by receiving more capital and by increasing its value. Volume of resources managed via the platform. Volume of smart-device data processed. The KPI may change as the company evolves, and this is not only fine but can also give evidence of a healthy and dynamic company. Once this KPI is established and you have achieved buy-in of all team members, some of them may receive their own sub-KPIs that directly feed into it. A sub-KPI for the PR and Marketing team, for example, may be the total number of people who click through the articles to your site or app, which can be increased through the number of articles, average quality of articles, and strategies for distributing them. Once the defining KPI measurement has been selected, founders should drive its continuous growth using the various levers available. Top-line growth metrics can be broken down into underlying drivers that can be experimented with to bring in more users and maximize the engagement and value of those already in place. Firstly, growth metrics must be broken down into user cohorts to assess retention over time, which will determine the true value of the users and how dependent the company is on constantly bringing in new ones. The profiles of those users who are most engaging with the product can then be determined from the data as well as the key differentiating factors for the strongest vs. weakest cohorts so that the company can better focus its efforts and messaging. Somewhat analogous to statistically profiling the best users and cohorts is then finding the core action that is most correlated with long-term user engagement and the sequence of events that most often lead to this core action’s completion. This information then allows for implementing more rigorous statistical testing of the magnitude and durability of the effects of the company’s various growth efforts. I have witnessed the analysis of the above factors completely revamp companies’ understanding of who their clients are, how they are engaging, and how to best drive their growth and product vision. Growth occurs from three main sources, discussed below in descending order of their impact on company value. Least valuable, and dangerous to become reliant upon. Risks having growth stall or even reverse once budget runs out. This reversal can occur at exactly that worst-possible moment of when the company requires more funding. Higher ROI than those who arrive through paid means, but a more linear growth trajectory. The most valuable kind, as you are not paying for the user and can represent exponential rather than linear growth. If each user brings an additional user, each of whom then brings another additional user, the dynamic for exponential growth has begun. “Referrals” can occur through various means, and can be broadly defined as any circumstance under which someone using your product makes it more likely that those around them will become a user as well. Dropbox is an oft-cited example through their model of leveraging the natural file-sharing between their users and other people, while throwing in the incentive of receiving more space. In contrast, eCommerce companies can risk extreme and broad-based discounts on products that essentially purchase users without necessarily validating any hypotheses or setting the stage for sustainable engagement. Be clear on the profile you are targeting and model out the sustainability of the strategy. All else equal, incentives based on offering more of a premium version of your product are preferable to cash rewards or discounts as they bring increased engagement from the user and tend to be more affordable (assuming reasonable marginal cost of the additional service). Study your growth data points meticulously. Many startups, for example, host and participate in events to drive interest among target clients—hackathons and meetups, commercial or industry conferences, and social or networking outings. 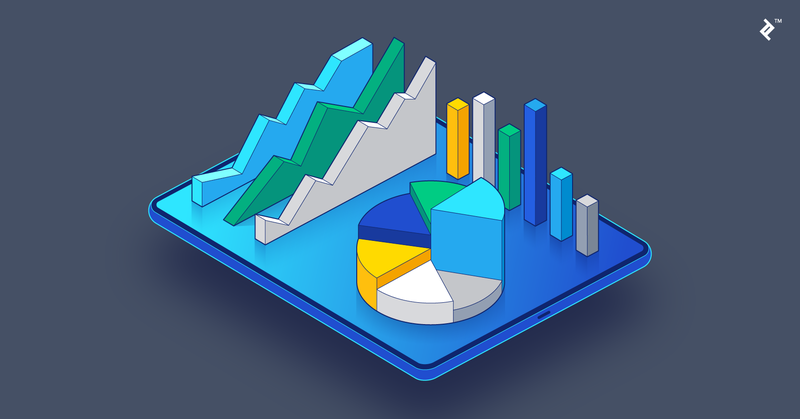 Beyond tracking the conversion rate of those who directly participated in these events, analyzing subsequent user growth in the event’s geography and target profile can provide critical insight. Any causality must be taken with skepticism, but, for example, if I become a user and then shortly thereafter other people “close” to me become users in the absence of other developments, this may signal enough information to run an experiment. Viral coefficients which show on average how many new customers each current customer is bringing to the business. The second derivatives of your growth trajectory. The first derivative is the rate of growth itself and the second is the rate of change in your growth, so a positive second derivative suggests your current users are populating the world with more users through the natural course of their day. Once you are clear on the driving KPI for company value, it is time to delve into how your user or client behavior is driving its growth. 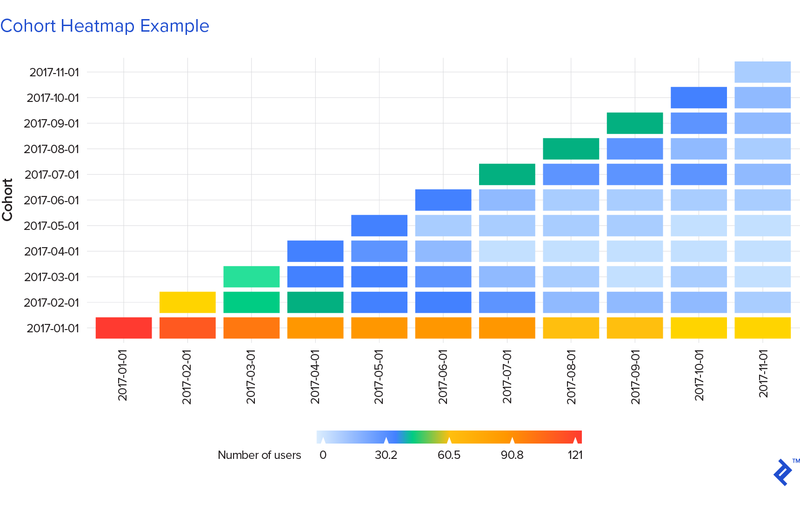 Considering this in terms of cohorts is important for gleaning your growth’s true sustainability in that it forces you to consider not only how many active users you have today but how those who previously joined are still performing. Sort the data by user and action timestamp. Take the difference for each unique user between the actions executed, expressed in minutes or days. Create a histogram of the results and select the period where data are most clustered. Average retention can then be compared to benchmarks for the company’s sector, which can be found, for example, at Anu Hariharan’s Y Combinator post. How the company compares to these numbers indicates how it is doing versus its potential competitors both for users and for the next capital raise. This work can bring some tough love, and founders should not feel discouraged if retention below the benchmark is discovered. This analysis is so valuable in the first place precisely because retention so often presents the main challenge to early stage companies, and the subsequent sections will discuss ways to hone in on what is working. The type of analysis for both individual users and cohorts is very similar in terms of functional form, with the main difference residing in the definition of the inputs. Duration of active use in total days or fractions of a year. Average lifetime strength of engagement (total actions taken/total time periods). Company sector and size in revenue or employees. All can be modeled using indicator variables (0 vs. 1) or simple numerical variables. Means by which the user or client first found the product. Frequency of peripheral actions taken, such as browsing products on a marketplace or even adding them to the cart but not purchasing. Time of day, day of week, or month of year when the user or client shows highest engagement. An alternative specification would be a probit model, which returns the probability of something based on independent variables. This particular functional form can then give the probability of churn for a given user. However, in most scenarios, a linear regression should be the default option, unless you have a specific reason why another form is preferible. Having an overly-advanced specification can either cloud the finding or risk mistaking the model for the real world. Keep it simple and save your energy for interpreting and acting upon the results. An initial plummet in which many initial users or clients drop off. 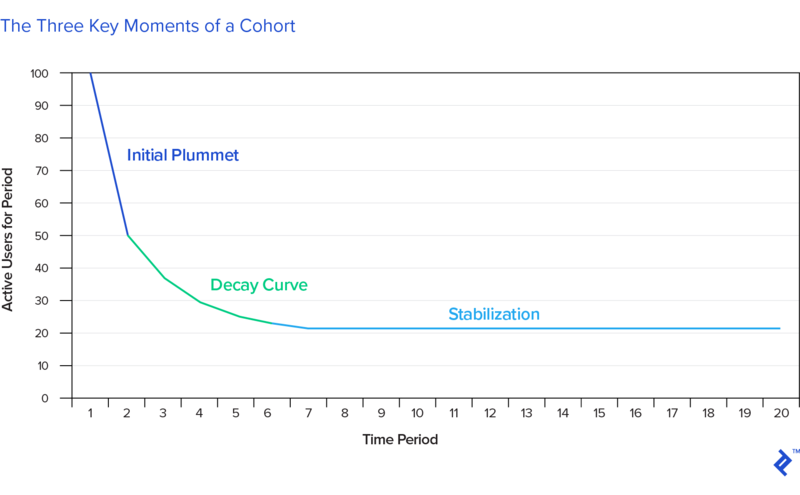 A subsequent decay curve based on further churn. Then (hopefully), a linear portion in which the cohort stabilizes into those users who are in for the long haul. The linear portion may of course still show a trend, but it has stabilized into gradual linear change rather than exponential decay. Difficulty of signup/activation process. Many users are often lost in the initial moments due to confusing or laborious activation requirements. Every single step you make them go through and every option you make them select is an opportunity to lose many more potential users. Strength of your user experience (UX). These users have gone through the trouble to activate their accounts and therefore saw potential value in using your product, but then something caused them to stop. Long-term value of your product to your remaining users. These are the people who have survived the first few months of using your product and stuck with you. Get their feedback on what will make the product even more valuable (particularly for what they might pay for), and find ways to harness them for referrals. 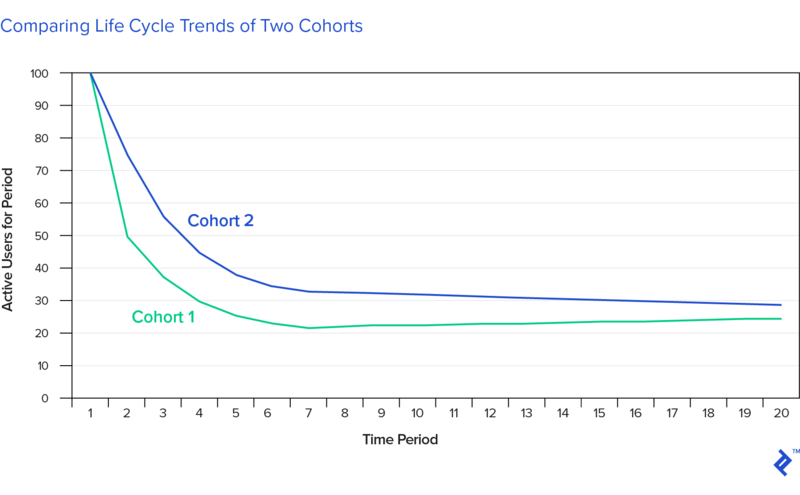 Companies define their best cohort based on size (how many users), trajectory (how quickly users drop off from the cohort over time), and level at which the engagement stabilizes (% of users in for the long haul). The latter two are arguably two sides of the same variable. As with anything with early-stage startup metrics, trajectory should carry the most weight. Of the two cohorts below, Cohort 1 is stronger. It may plummet more and even first stabilize at a lower level, but it then shows a linear trend towards users reactivating while the blue cohort continues to decrease. Reach out to those users who dropped off to see what you can do to reactivate them or at least to learn from them. Those people on the borderline of using your product but ultimately elected not to represent one of the richest pools of potential information as well as the lowest-hanging fruit for further growth. Once you identify your most engaged clients, you will want to learn how they become most engaged. The central step is to identify the core action that is most associated with long-term engagement. Think of this action as the tipping point at which you’ve hooked the client, and analysis of the flow of actions taken may reveal a moment of disproportionate expected engagement and retention. For a marketplace platform, it may be successfully realizing the first three sales. It’s the user’s “ah ha” moment—the “Wow, this thing actually works” moment. Find it. Once the core action is identified, the logical next question is how to get users to it as quickly and surely as possible. The next step in the analysis is therefore to identify the sequence of events that are most likely to lead to the core action being taken and use this to refine your product UX to bring the user through them as seamlessly as possible. Eliminate as many requisite steps as possible; creating beautiful UX is like sifting for gold and represents a process of reduction and distillation rather than addition. Whenever possible, define your variables in terms of change rather than absolute state. For any company, but for startup metrics especially, the rate of change is what defines your valuation and competitive advantage. When calculating change, use natural logarithmic change rather than percent change. Percents do not fit well into statistical analysis due to their lopsidedness; for example, if your active users increase 10% from 100 to 110 but then decrease 10%, you’re down to 99. Natural logs do however have this symmetry, are just as easy to calculate as percents, and can be converted into percents for final interpretation using a simple transformation formula as well. 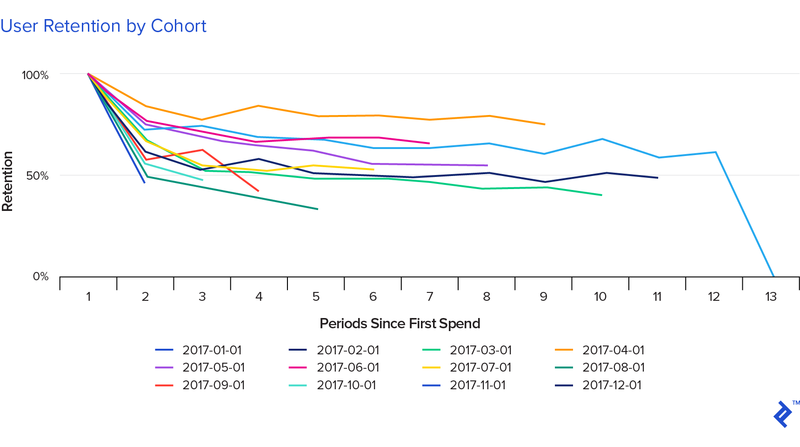 The analyses described through this point are historical, but will allow for more granular prediction of future growth based on underlying drivers, which are useful for founders to track their likelihood of hitting internal targets or benchmarks for their next funding round, and for investors for estimating a company’s trajectory. As discussed in the next and final section, it also sets the stage for results-driven experimentation for product evolution and startup growth strategies. With this understanding of the forces that have shaped your growth thus far, you can run experiments on how to strengthen them in sustainable ways via product updates, marketing and PR, and business development. Using your historical growth metrics and engagement levels as baselines, the true impact of your various efforts can be assessed. This is where creativity truly comes into play, but creativity rooted in empirical validation. Above all, these tests should establish the learning process by which the company and product become smarter and stronger with every single user action. Your product and business model as they exist at any given moment can be copied; but processes and moving targets represent far more sustainable competitive advantages. Use these experiments and feedback loops to make your product a living thing that constantly grows more sophisticated. Likewise, the most valuable commodity in the world is information, both to you and to your current and future clients. The insights you glean into what drives growth and engagement of your users and clients may itself become the product that you eventually sell; the most valuable tech companies almost all evolved at some point from being valued based on their client growth to being valued based on the information they create. Effective understanding of startup metrics is the first step to take in this journey. What is a metric in business? A metric is a quantifiable target measure set by a business in order to track its performance. Success is judged on how metrics perform, compared to benchmarks and projections. 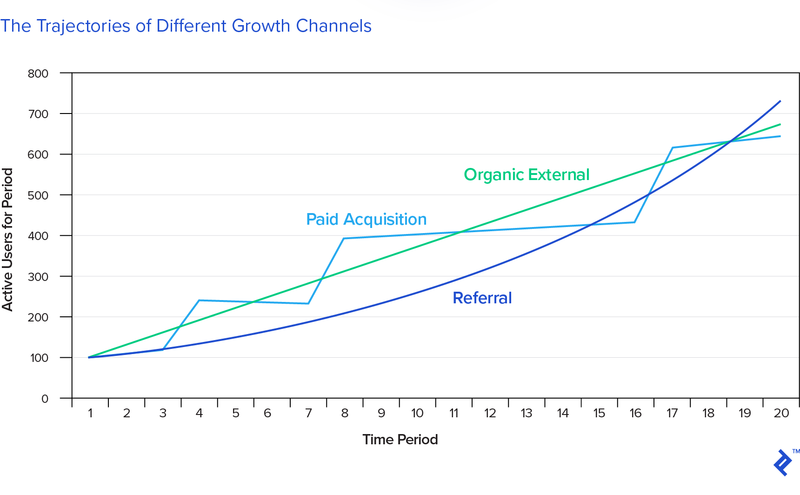 What is a growth metric? KPIs are tangible benchmarks that can allow for appraisal of both the business and staff within it. Having KPI targets also provides a goal for the company to work towards and galvanize actions.